Great festive novelty hat made from lightweight soft polyester with traditional white fluffy bobble (no bell on this years hat). One Size - fits older children, teens and adults measures approx 55cm. Personalised with an embroidered name or nickname in a font style of your choice. 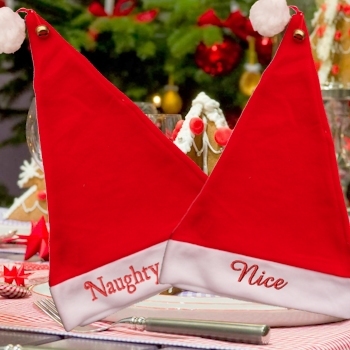 The perfect headwear for Christmas parties, Christmas dinner and all of the festive times in between.